The Long Lake Fishing Club, Inc. was created to protect, maintain, and improve all the environments necessary to insure, for present and future generations, the enjoyment of successful fishing on Long Lake, a multi-use lake in the Northern Unit of the Kettle Moraine State Forest, Fond du Lac County, Wisconsin. WI 's premier bowling destination. Come on in and check us out for yourself, we have a family friendly atmosphere, and even have "FUN" things to do EVERY NIGHT! Check out our monthly promotions that have additional activities to have fun with. DIMAN Systems Product and Computer Store home to DairySft Management Software. The best source for custom computers and the components you need to build, maintain or to add to your computer. 4-H is a dynamic youth organization for people age five and in kindergarten, until one year after they graduate from high school, male or female, whether you live in the city, village or country. You will have fun, be challenged, learn new things, meet others, and be an active member of your community. Volunteers will work with you to plan and carry out a year long program. Getting your family involved will make your experience even more meaningful. Northern Kettle Moraine. The best to Vacation, Fish, Visit, Play, Shop, Work or Live. Most importantly experience Kettle Moraine! Parkview Store the premier supply source in the Northern Kettle Moraine not to mention Julies coming up with the yummiest Fudge. Place FREE personal ads in a newspaper type environment. Available by region, North-East, North-West, Central, South-West and South-East. We provide free consultations and estimates. Our goal is to meet your requirements not ours. Our product must meet your requirements and we would like to impress you with the quality of our products. Our products come with a 20 year limited warranty. Our sheds are built with high quality materials and top-notch workmanship. Our motto is “Built to Endure”. These are not just words, but our way of doing business. We promise you high quality, long-lasting sheds that will enhance any home and yard. Personal SharePoint Web containing movie and stage photos as early as 1920. DairySft and Internet Kmoraine are trademarks of DiMan Systems. All other products mentioned are registered trademarks or trademarks of their respective companies. 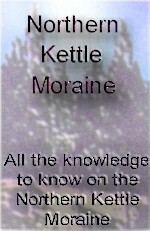 Questions or problems regarding this web site should be directed to webmaster@kmoraine.com. Copyright © 1998 DiMan Systems. All rights reserved. Last modified: Thursday July 10, 2014.